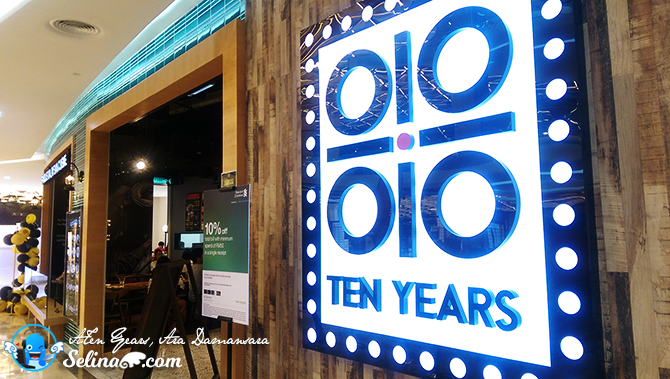 Last year, I invited to attend the launch of first outlet, Ten Years in Sri Petaling. They want to bring the best hawkers's famous local food for the Malaysians who enjoy the Malaysian food culture by passing it on to the next generation. Ten Years believe that people from different decades or generations can be connected through the traditional food, make the young generation recall their sweet memories in their life when they are kids to enjoy the local Malaysian food. Because many local foods are slowly disappearing due to the modern influences. 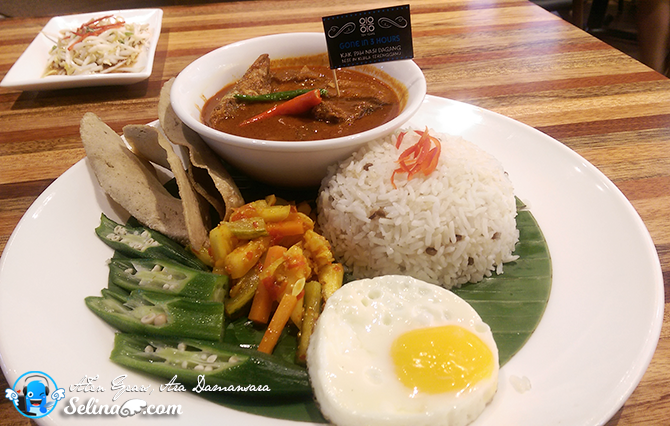 That is why Ten Years is a restaurant that brings popular local foods from every corner of Malaysia under one roof. Their logo – 4 “10” and a red dot in the middle is representing of connecting people from 4 different decades through food. 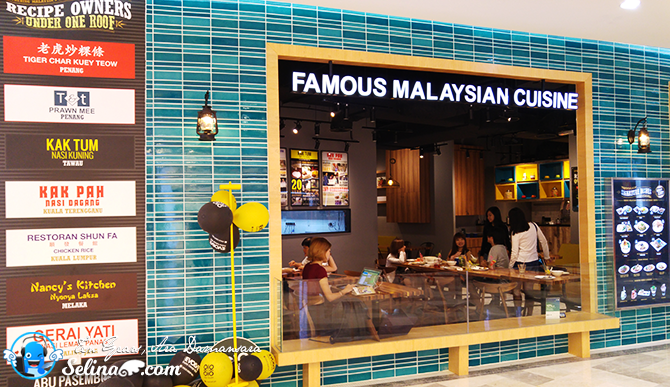 Ensuring the new generations to come and be able to enjoy these local and traditional delicacies, Ten Years team took the effort to hunt down what are the popular foods in every state of Malaysia. So, it make the famous local hawkers' food become popular in our country, Malaysia since they are come from different states; Penang, Malacca, Kuala Lumpur, Terengganu and others. After this, Ten Years has landed a second outlet in Evolve Concept Mall, and officially grand opening on the 23rd March 2016. First time, my good friends, Woan Koon and James are experiencing to eat the different of local food which be top rated Malaysia Cuisine from different states of Malaysia since I invited by Ms Stella, Food Ink. 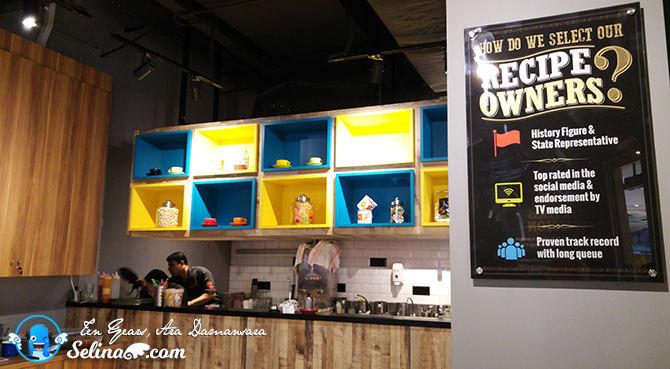 We always be thankful to Food Ink for giving our chance to try new food in Ten Years, Ara Damansara. 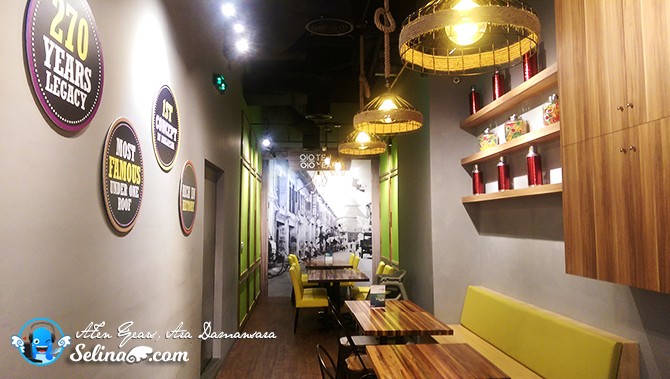 Their dining area also resemble each decades from the 60’s, 70’s, 80’s and 90’s, make the customers feel comfortable and enjoyed to talked about the old times while they are enjoying their meal. In Ten Years restaurant, the space are not very big as there are few tables and chairs only, unlike Ten Years in Sri Petaling. Don't worry, they also expand to the outside sitting area, so it is easy for the customer who enjoy the local food in the open area! 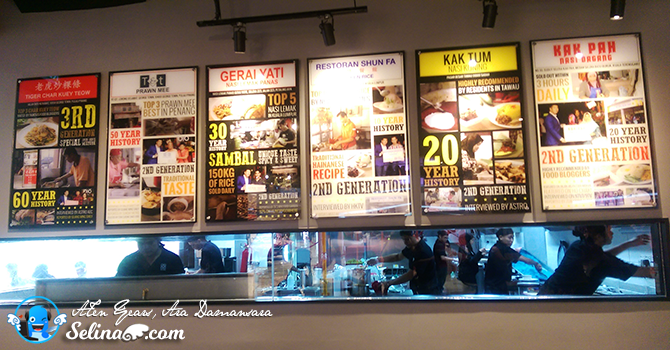 There are famous 8 signature recipes from Malaysian hawkers such as Nancy’s Kitchen Nyonya Laksa from Malacca, Nasi Lemak Panas Yati from Petaling Jaya, Nasi Dagang Kak Pah from Kuala Terengganu and others. You eat T&T Prawn Mee from Penang before? It is very popular in Penang as many people come to eat it at their shop along Jalan Cheong Fatt Sze as it always sold out in the early morning! 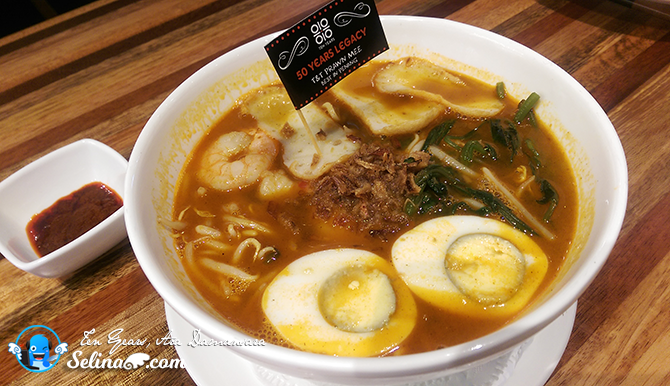 The first generation's shop has 50 years long of history behind it, being the heir and second generation to the T&T prawn mee on Lorong Selamat. It specializes in its traditional tastes, with a broth boiled for hours which complements the other ingredients. Tiger Char Kuey Teow born from Penang too. In Penang, Char Kuey Teow is most favourite of Penang-born people since my mom's family really love it so much! Tiger char kuey teow is one of best Penang local food, which has been in business for over 60 years, is highly rated by visitors and Penangites alike due to its ability to maintain the same flavor and taste, even after 2 generations. YOU MUST TRY THIS! First time, I tried to eat Kak Tum Nasi Kuning From Tawau, Sabah. 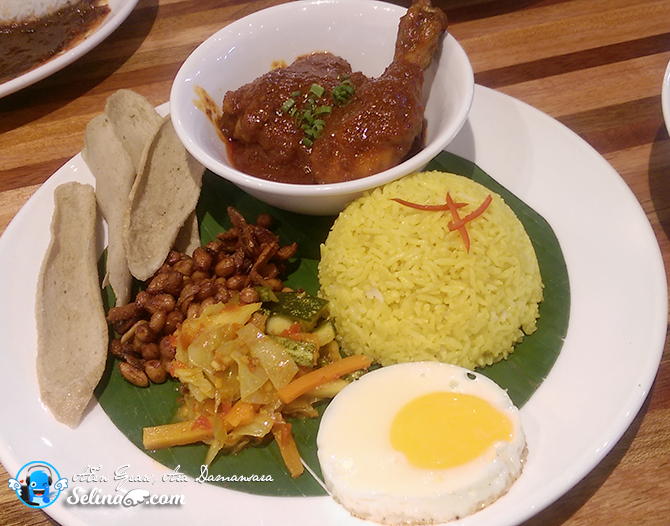 I really love to bite a sweet and spicy chicken with a special yellow rice, because this is very tasty! According to Ten years, Kak Tum takes pride in selling her mother’s specialty, Nasi Kuning. With a secret recipe dating back 20 years, you can now taste this deliciously crafted dish, which is sold out daily within 3 hours in Sabah. It make me fell love with this so it is very highly reccommended! My mom always like to eat the Nasi Dagang since my family stayed in Terengganu since my eldest sister born there before me. My mom told me that Nasi Dagang come out with perfectly steamed rice that smells of fragrant coconut, served with a generous piece of Ikan Ayer (Tuna Fish) and curry that hits the right notes, so it’s no wonder that Kak Pah’s secret 20 years old recipe has set the record of selling out within 3 hours. I am okay with the sauce Ikan Ayer but, it is very spicy! Since Nancy’s Kitchen is very a hit so success, many people really queue up so long to get the best seller, Nyonya Laksa with 20 years history over 3 generations, has made it to the top of the list of must-try food in Melaka. 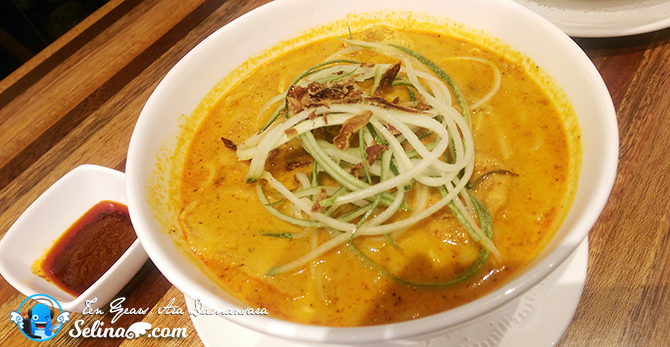 If you miss the Malacca's Nyonya Laksa used to be sold out always. 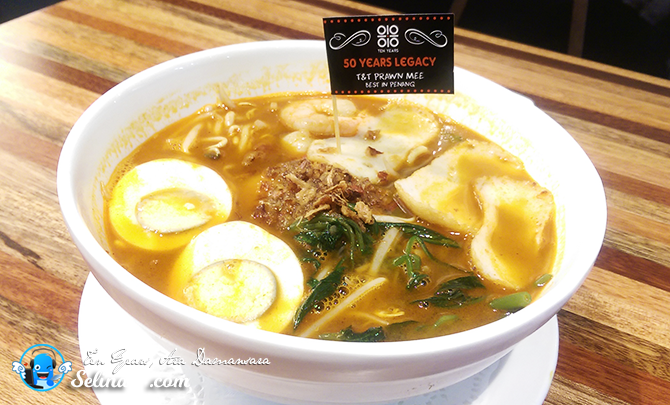 That is why you better to grab the Nancy's Nyonya Laksa from the Ten Years in Sri Petaling and Ara Damansara! 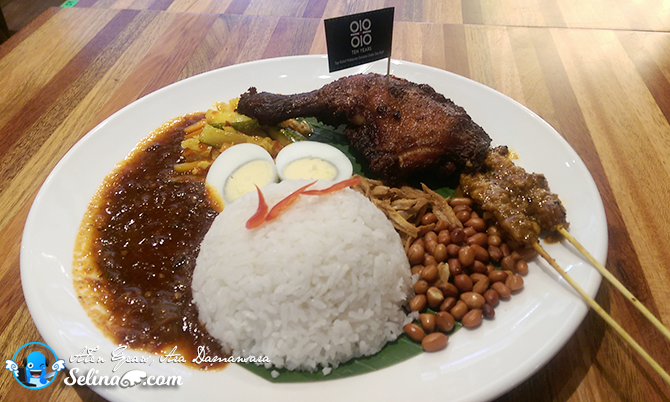 We always get nasi lemak on every breakfast or lunch or dinner in anywhere. Who can resist hot piping coconut rice completed with a perfect combination of sweet and spicy sambal, hard-boiled egg and fried anchovies? After 30 years and 2 generations running, Kak Yati’s packer Nasi Lemak still sells up to 1500 packets daily, making it one of the best in town! You MUST try it! You know, Sun Fa Chicken Rice is the Hainanese style cooked by the second generation of the family now runs the restaurant, carrying down their father’s precious recipe since 1975. The Hainanese-styled Shun Fa Chicken Rice users free-range chicken to complement its moist and fragrant rice, while the chili paste has the right behind of spiciness and sourness. 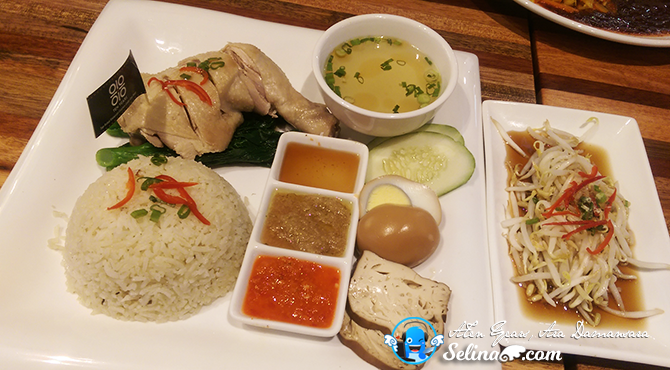 If you love the Hainanese Chicken rice, you can try it. I love to eat the Indian Rojak on many times as my mom bought it always. 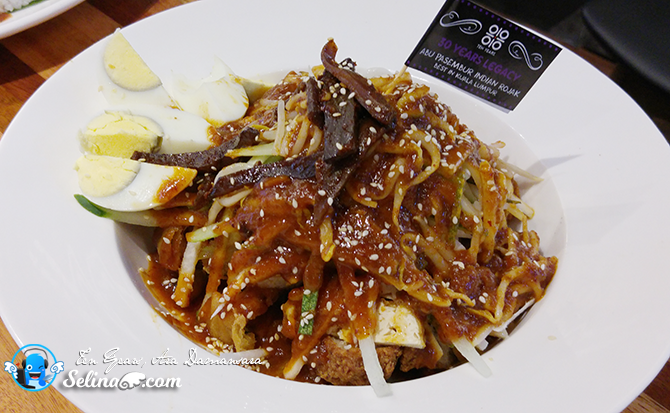 First time, I heard about Abu Pasembur Rojak become top local Indian food in Kepong. Their taste of Indian Rojak is very delicious. There are different race of food lovers still love to buy it from their stall. The stall’s second generation operator Abu, is proud to have taken over the business that has been in esistence for more than 30 years. Ten Years help to make you feel healthier, so they provided their own specialty, 4 delicious detox fruit to cleanse your body and flush out the harmful toxins. 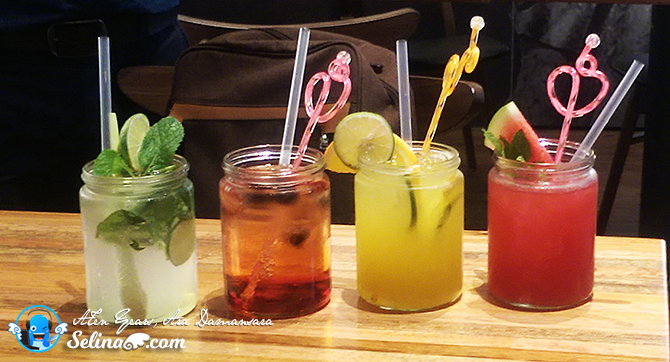 It just mix and match with the fruit to suit with your preference of taste. You really want to eat desserts from Ten Years? 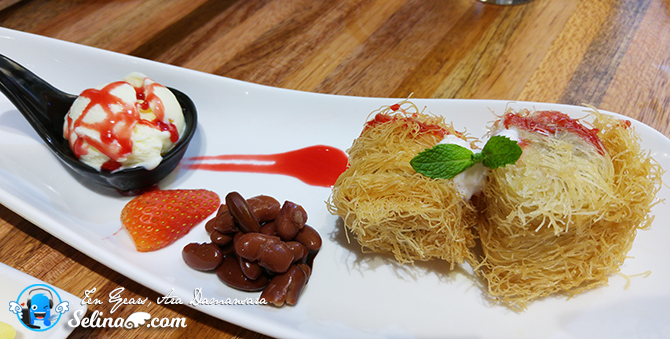 You must try a very own special dessert, Banana Kataifi (RM12.90) because it is very sweet banana with strawberry ice cream and red beans. 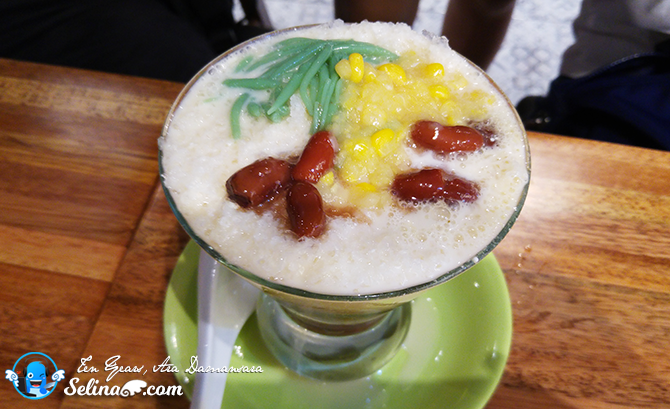 If you love the Cendol, you can get to eat your fav Cendol (RM6.90), just make you feel cool. First time, my friends and I shared this dessert, Durian Pan Cake (RM9.90). I like to eat the sweet and soft durian so much. You can try it if you are crazy with Durian! 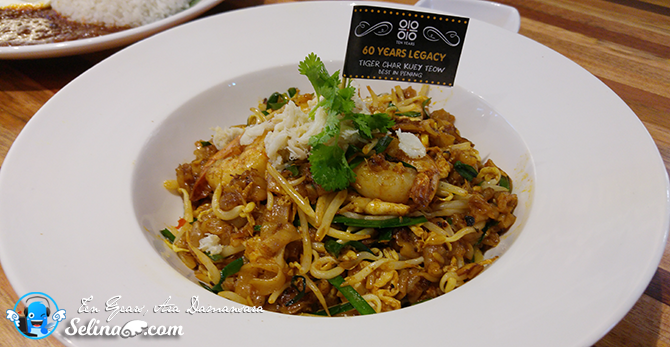 The Tiger Prawn Char Kuey Teow looks really good! Yumss reading food post at this time really makes me feel hungry LOL. Need that Cendol too! I dunno they got another branch in Ara Damansara... I went the one in Sri Petaling.. The food is not bad..
Om nom nom.. this looks so yummilicious.. I am sooo salivating and drooling now... huhuhu Must go and eat there!!! the food looks delicious! Time to explore the restaurant. wow sedapnya all the food sooooo yummeh, time to explore this restaurant !